New customers only. 18+. Matched Bonus up to £100. Minimum deposit £10. Free Spins will be awarded within 48 hours on QuinnCasino’s Game of the Week. Wagering requirement 25x. The rollover requirements must be met within 30 days of the bonus being entered. T&Cs apply. On the hunt for a new way to enjoy Casino betting? Look no further than QuinnBet, the all-new simple, honest Online Casino platform. From a great welcome offer to mobile gaming, find out everything there is to know about this all-new platform right here. Plus, Roulette Geeks are happy to announce that our friends at QuinnBet have given us an exclusive promotion offer, consisting of a 100% match bonus and 20 free spins! Roulette Geeks is offering an exclusive promotion code for users signing up to QuinnBet through our website. We’re offering a 100% matched bonus up to £100, plus 20 free spins! Simply register and enter our QuinnBet Coupon Code, which can be found here. We recommend that anyone looking at Quinn’s sign up offer instead uses this code, which gives you an extra 10 free spins on top of your bonus! It is important to note that the offer is only available for users based in the Republic of Ireland or Northern Ireland. In order to use the code, you just have to type it in when you register, deposit between £10 and £100, and press “claim” in order to receive the bonus. The free bets will be in your account straight away and the free spins will be made available within 48 hours of buying into the Welcome Offer. We like to remind customers to always check the terms and conditions before you buy, which can be found here! Overall, this is a great way to begin your experience, hopefully getting you off to a winning start! 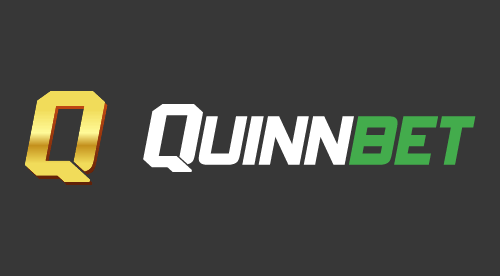 QuinnBet is one of Ireland and the UK’s newest online Sports betting and Casino platform, aiming to bring users the most positive gaming experience possible. They offer a no-nonsense, simple approach to Casino betting, providing a safe and responsible way for users to use their services. They set themselves apart through truly supporting their customers and ensuring that their services are enjoyed responsibly. Throughout their website, there are a number of safeguards to ensure that customers gamble responsibly, this allows you to stay in control on their website so that when the fun stops, you do too. QuinnBet is keen on being fair and open to its users and offers a couple of novel incentives to help users along the way. For instance, their unique Quarterback Promotion allows customers to receive 25% of their weekly losses back as a free bet. This customer focus is something that is central, making users’ experience both fun and positive, but perhaps more importantly, safe and fair. They also offer a great Mobile Version of their website, so you can enjoy the service wherever you go. It’s also a great place for Sports Betting, frequently providing industry best odds. 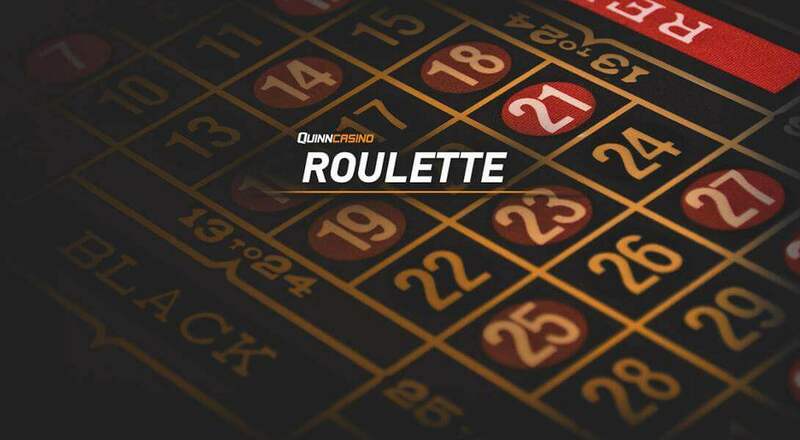 This means that you’ll never run out of options with QuinnBet, which hopes to bring you a simple, easy way to enjoy a number of different games and offers, all centred around a safe and respected platform. When searching through QuinnBet’s selection of games it is obvious that there is something for everyone. From all your favourite classics like Poker and Roulette to a whole host of new releases, it’s all covered here. For the avid roulette player, they offer six different versions of roulette, so whether you’re more of an American or European player, you’ll certainly find what you’re looking for here. All games are also available on the mobile version, giving you greater flexibility with how and where you choose to enjoy them. Just log in to your account on your computer or mobile in order to open up this world of games. It really is just that simple, and we promise you won’t be able to play them all anytime soon! As well as our own promotion, QuinnBet is also offering you their standard Welcome Bonus, which is a 100% matched Casino Bonus (up to £100) with 10 free spins. For eagle-eyed readers, you’ll notice that this is exactly the same as Roulette Geek’s exclusive offer, just with 10 fewer spins! So what are you doing still reading this? Head back up the page for our exclusive offer, and the best welcome bonus available through Quinn! As well as Welcome Offers, QuinnBet is also great for ongoing and short-term promotions. These give existing customers as well as new customers a great way to maximise their winnings and take full advantage of everything that’s on offer. In fact, some of these offers are not something you see on every Casino site! The offer that really sets QuinnBet apart is their “Quarterback” offer, which gives customers 25% of weekly losses back as a Casino Bonus. This not something which many other websites are doing, and gives users an added layer of security when things aren’t going as well. Losses to date are calculated from when you open your account and arise when you have losses which exceed wins across QuinnBet events. Weekly losses arise when a customer’s Casino account has weekly losses which exceed weekly wins in the qualifying period. In the event that your weekly loss exceeds your losses to date, the refund will be limited to 25% of your losses to date. To qualify you must place a minimum of 5 bets during the week and 4 of these bets must be at least half the value of your highest placed wager. QuinnBet also offers Weekly deals, which will either promote different games or give you a winning boost across all your bets. Currently, the weekly promotion is an offer on their game The Codfather, by giving users 5 free spins when they stake £25 on The Codfather throughout this week. These offers are a great way to both boost your winnings, but also try out new games from the massive online selection! QuinnBet is also offering a 10% Casino Bonus on winnings every week! This offer gives you an extra 10% as a bonus bet. Alongside the Quarterback offer, this provides a great deal for users! If you win big one week, you get an extra 10% of your winnings, and if you lose, you get 25% of your losses back as a free bet. This is something that not many other sites do, and we would definitely recommend taking advantage of all of these offers. Quinnbet is a site which is also great to use on your mobile. The website is fully optimised for mobile devices and their new iOS app has received positive reviews so far. They are yet to release an Android app, but this will be available soon, given the success of the iOS app. From the app, you can access everything which the website has to offer, from Casino games and sports betting to customer service and the latest offers. The app offers a range of cutting-edge features, from touch ID login to a simple secure cash out system. The sleek site is easy on the eye and the brain, matching an attractive layout with easy to use features. This means you can always bring the fun with you wherever you go, with the fun only being a finger swipe away. As part of QuinnBet’s drive to put the user at the centre of their model, they offer many easy to use payment options. These include Visa, Visa Debit, Visa Electron, MasterCard, Maestro, Skrill and Neteller. Depositing and withdrawing money is fast and easy with a high level of security as well. The speed of payment depends on which platform you use, but most of the time it will be instantaneous. Please also remember that using Skrill and Neteller will not qualify you for our exclusive QuinnBet Coupon Code! As part of their drive to be friendly, accessible and easy to deal with, QuinnBet offers a number of ways to give feedback, check up on payments, or discuss complaints. You can email them at support@quinnbet.com or use their website contact form. If you want to speak to someone direct, it’s also possible to call up on the phone. They aim to ensure that all customers are contacted within 48 hours of their query, so you won’t be left waiting around for answers. You can also get in contact through their Facebook and Twitter pages, where they will be happy to resolve any problems you might have. It is also worth noting that Quinn doesn’t yet have a live chat option, but live answers are sometimes possible through Facebook or Twitter. QuinnBet is a great new way to bet in the UK and Ireland. At the centre of what they do is a no-nonsense, fair approach to online Casinos, where trust and a strong customer relationship is the most important part of what they do. They offer a safe and responsible way to gamble, being open and honest about their offers and making sure that users don’t get too carried away with all the great features. Some of the highlights are their ongoing deals, which offer you boosts whether you win or lose! Their mobile app is also excellent for iOS users, bringing together sleek design and simplicity into one package. As a newcomer to the Irish and British gambling scene, QuinnBet is working on moving forward and is working on bringing a live chat option and Android app to their users soon. What Quinn has done so far is incredibly promising and they can only be expected to go from strength to strength as they grow. And remember! You can enjoy everything that QuinnBet has to offer today through our own exclusive QuinnBet coupon code. This offers an extra 10 free spins on the normal sign-up offer and is something that we really think is a great way to get started today.